Don't try this at home! 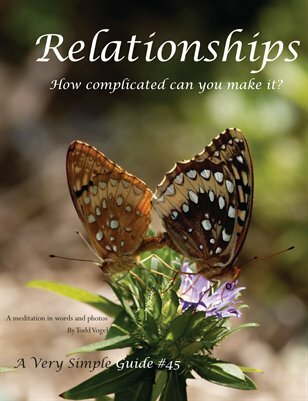 Relationships are the place where our insecurities, our anger, and our neediness all come together in gridlock. This Very Simple Guide uses nature photos, and as few words as possible to try to get out of this topic alive.